Sony Mobile today announced the upcoming launch of the Xperia XZ Dual, a dual SIM variant of the Xperia XZ. The XZ Dual will be officially released on October 10 in India, and what's interesting about it is that, unlike the single SIM variant of the phone (which will be available in the US starting October 2), it offers 64 GB of internal memory instead of just 32 GB. The Xperia XZ Dual will cost 51,990 INR (about $777) in India, and customers who pre-order it starting October 1 are getting a free Smartband Talk SWR30 (worth over $100). At the moment, we don't know if the dual SIM handset will be released in other markets, but it doesn't seem like it's headed to North America anyway. With plenty of other Android phones now featuring up to 64 GB of storage space or more (not to mention that the iPhone 7 has up to 256 GB of internal memory), it's a shame that Sony's current flagship smartphone will be limited to 32 GB (at least in the US). Yes, the handset does support microSD cards, but that's not the point here. We already reviewed the single SIM Xperia XZ, and found it a bit disappointing, one of the reasons for this being the rather limited amount of storage space: out of 32 GB, only 20 GB can actually be used. Do you think Sony should offer a 64 GB variant of the Xperia XZ worldwide? Let us know in the comments section below. what a s**tty phone!! with s**tty price! can't beat one plus 3 in anything! Why is it a s**tty phone? Care to explain? Is there a flagship phone from apple, samsung, lg, sony, htc that isn't heavily overpriced at least at lunch? I doubt. one thing more, Indian version will come with a quick charger in the box unlike the US version. Totally worth the price. High quality phone from a premium brand. Sh*t phone. Sh*t price, Sh*t brand. 1 month later drops to 450$ approx. 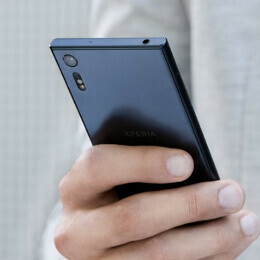 Sony infact didnt launch X series till now because no one india likes these phones. Kumar bought a Z5 premium for a hefty sum and cant get even 50% of its value in resale. Thats why he beats the Sony drum. Sh*t phone. Sh*t price, Sh*t brand. 1 month later drops to 450$ approx. You just described the Samesung lagaxy phones. Well done. Anyway if i bought a z5p and unable to resale it for less than 50% of the original price shouldn't that makes me don't want to praise sony anymore? LOL, stupid samsung fan no wonder you buy low class low quality samsung phones. LOL, keep crying Hallyu/trojan horse. That's what I really love about Sony. Design and style. Sony have a better chance in the Indian market than in the US that's why they are releasing a better specs model than in the US. And which is the spec that is better than the one sold in the US? Sony's got a real distinctive unmistakable design here just when other makers are looking more and more the same with mixture of iphones, galaxies, htc designs. This is what I admire about them throughout the years! it's a shame that Sony's current flagship smartphone will be limited to 32 GB (at least in the US). -always bringing down the xperia brand eh? ...and the 16GB iphone 6s gets a 9+ rating in phonearena. Samsung may have upped their game with the S6 but andorid only had brands like Sony, HTC that offered premium smartphones back then. I own a Z3 and for me this is a good upgrade. Also whats with the resale debate? Not everyone wants to sell their used phones. I still have my old Sony ericsson C905 and Vivaz Pro.